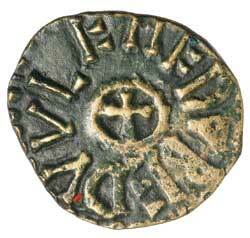 ARCHBISHOPS OF YORK, Wulfhere, (854-900), copper sceat, (1.09 g), Wulfred moneyer, (S.871, N.197). Toned, very fine and scarce. 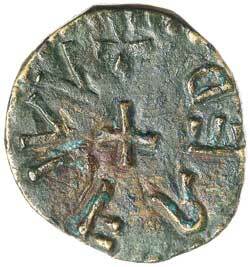 Ex Matthew Rich Collection and previously CNG Auction 324, lot 656.